Coinciding with the qualifiers draw for Men’s EHF EURO 2020 on 12 April in Trondheim, the official website for the European Handball Championships, www.ehf-euro.com, now includes up-to-date information on the next men’s edition of the EHF’s flagship national team event. The new website for EHF EURO 2020 features detailed information on the six host cities and their respective venues, including the Tele2 Arena in Stockholm, venue for the final weekend, which will mark the first time that an EHF EURO Final is played in a football. It also overviews the two qualification events that have already been played, the qualification phase 1 and the IHF Emerging Nations Championship 2017, and gives insights into the rich EHF EURO History with 13 men’s tournaments being played since 1994. 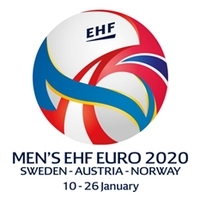 As of today, www.ehf-euro.com will be constantly updated with all news, videos, photos and background information regarding the championship in January 2020 to become the one-stop-shop for all handball fans interested in Men’s EHF EURO 2020. To start things off, the qualifiers draw will be streamed live on www.ehf-euro.com on 12 April, starting at 19:00 hrs local time. The Norwegian city of Trondheim will host the biggest EHF EURO qualification draw to date on 12 April 2018. With the decision to stage the Men's EHF EURO 2020 with 24 teams for the first time, it means that 32 teams, more than ever before, will participate in the EHF EURO 2020 Qualifiers, starting in October this year and concluding in June 2019.